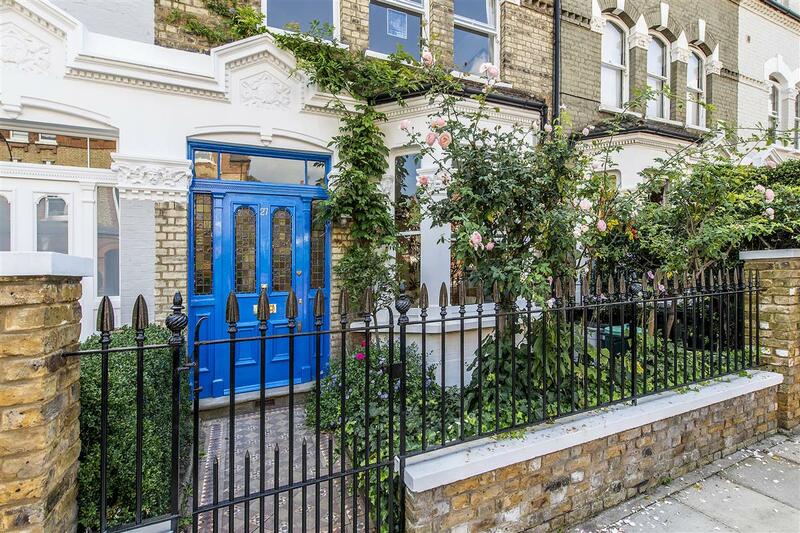 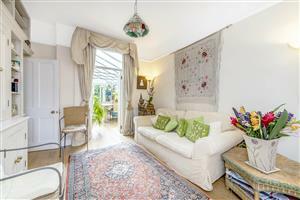 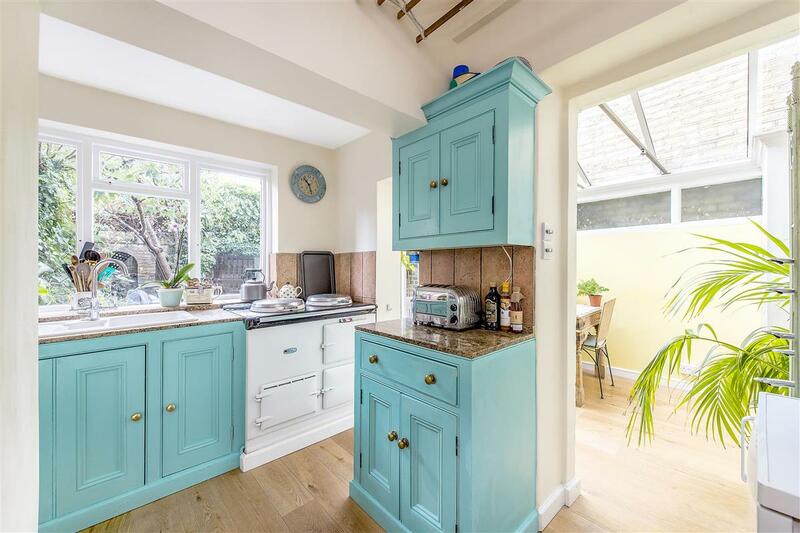 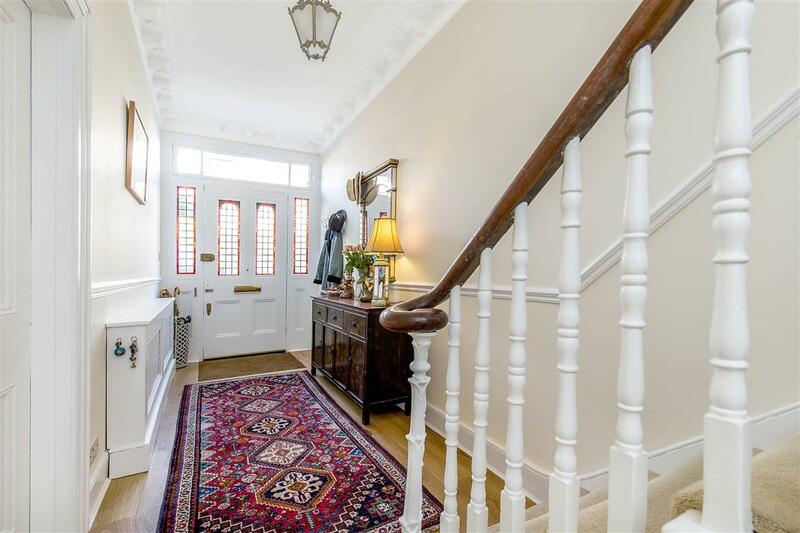 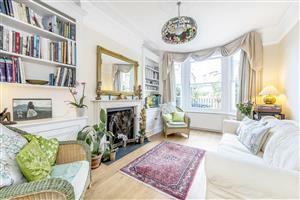 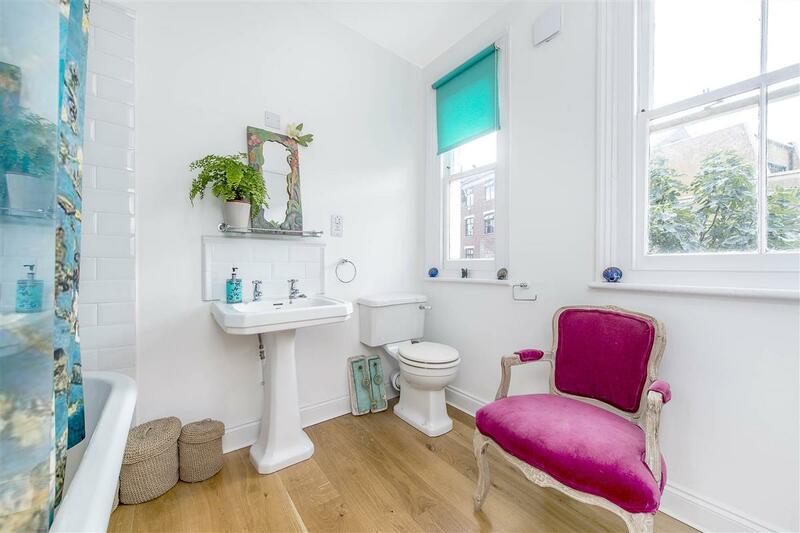 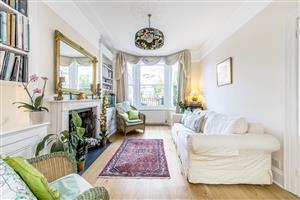 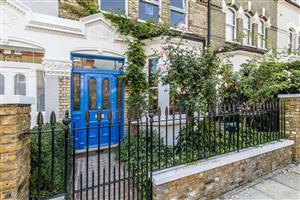 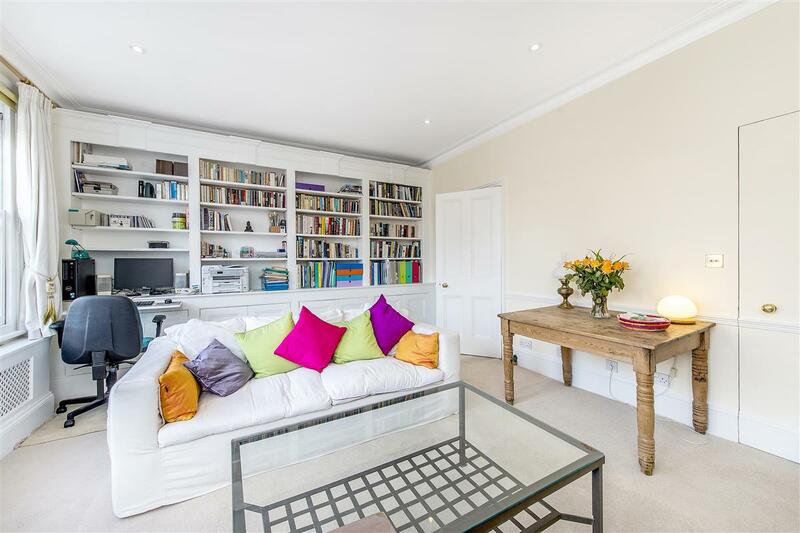 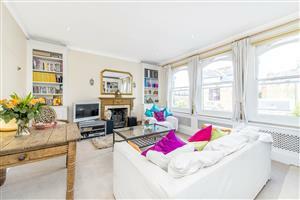 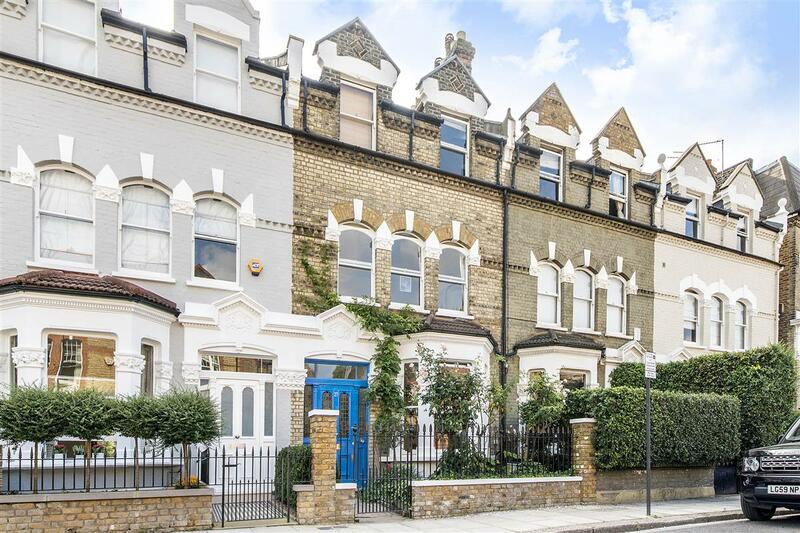 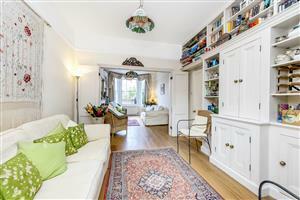 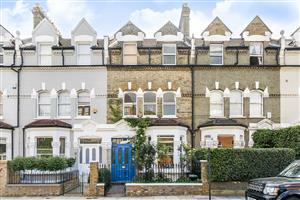 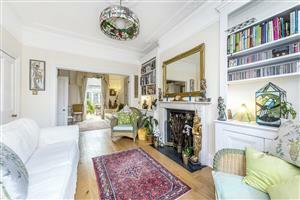 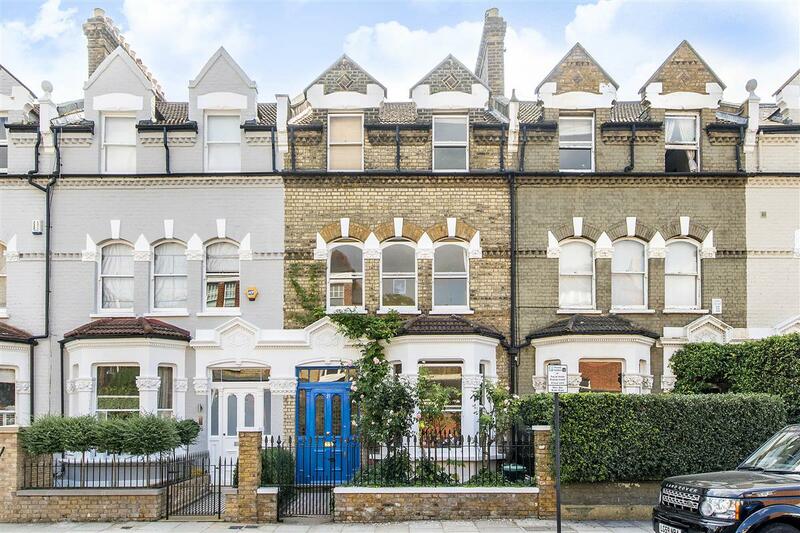 A substantial four bedroom family house with a lovely patio garden, offering 2005 sq ft of living and entertaining space, located on one of Fulham most desirable roads. 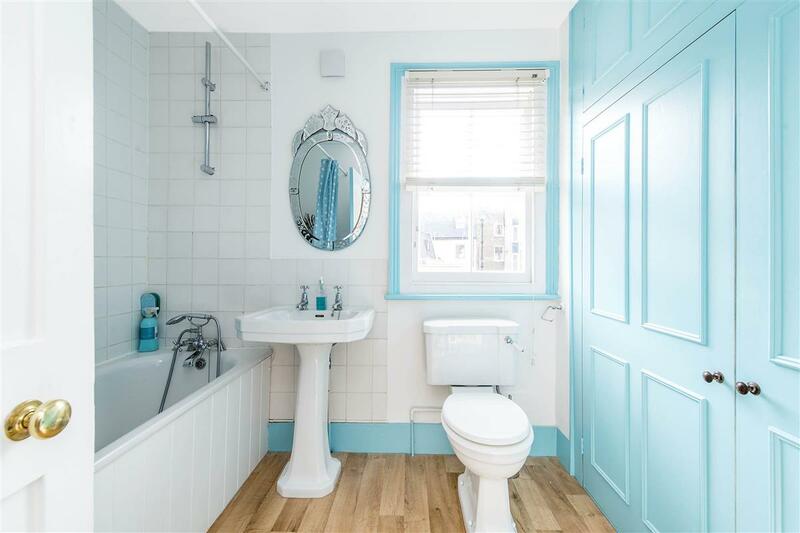 Spread over three levels, this wonderful house has a great feeling of light and space throughout, and has been lovingly maintained by the current owners. The two reception rooms on the ground level are filled with natural light and separated by attractive folding doors, creating the flexibility of a double reception room if desired. 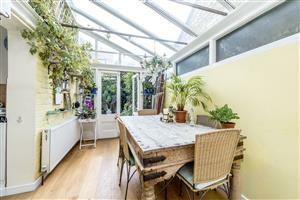 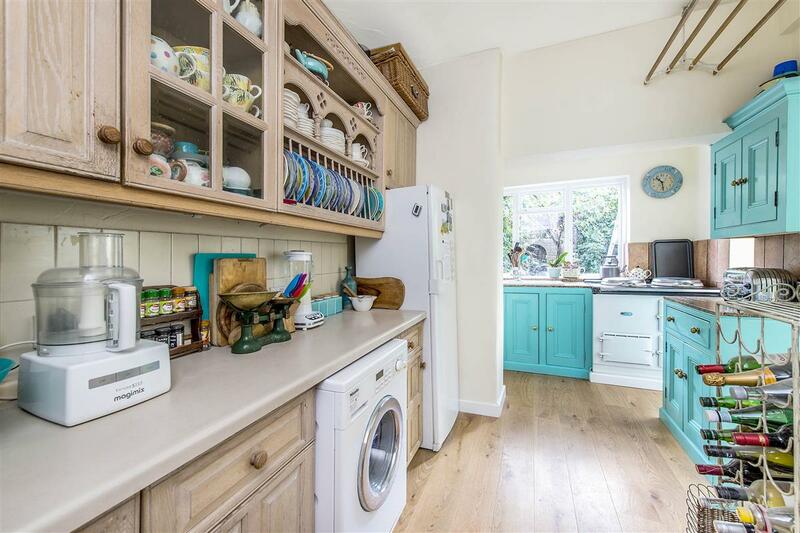 The kitchen towards the back features a dining area with a conservatory roof while benefiting from plenty of kitchen storage and an Aga stove. 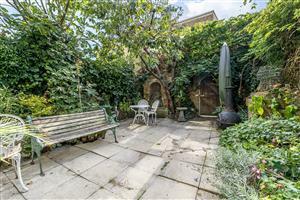 French doors lead out to the well-presented south-facing patio garden, which has gated access to the pedestrian road behind. 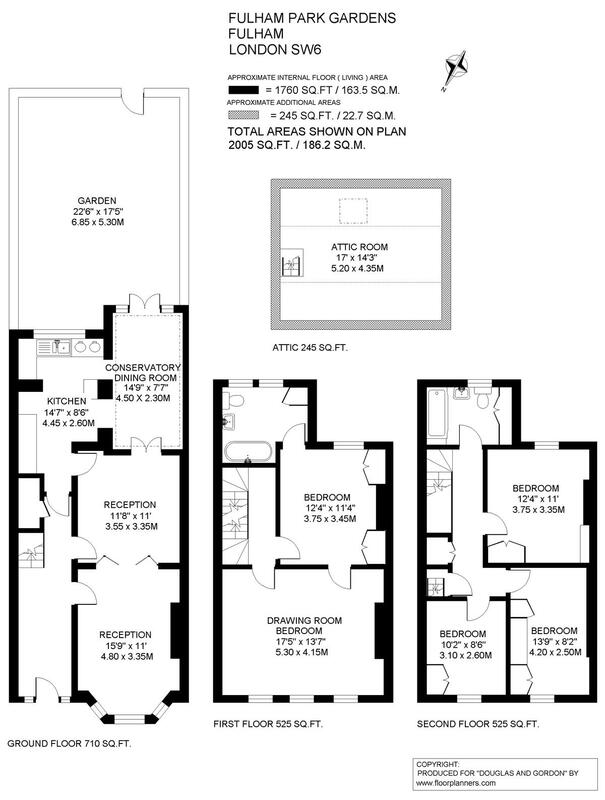 The first floor is currently laid out to include a formal drawing room, master bedroom and en suite bathroom; however the space can easily be used as a master suite to include a dressing room if preferred. 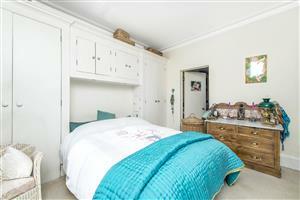 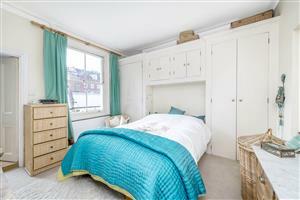 The second floor is occupied by three good sized bedrooms and a well presented family bathroom. 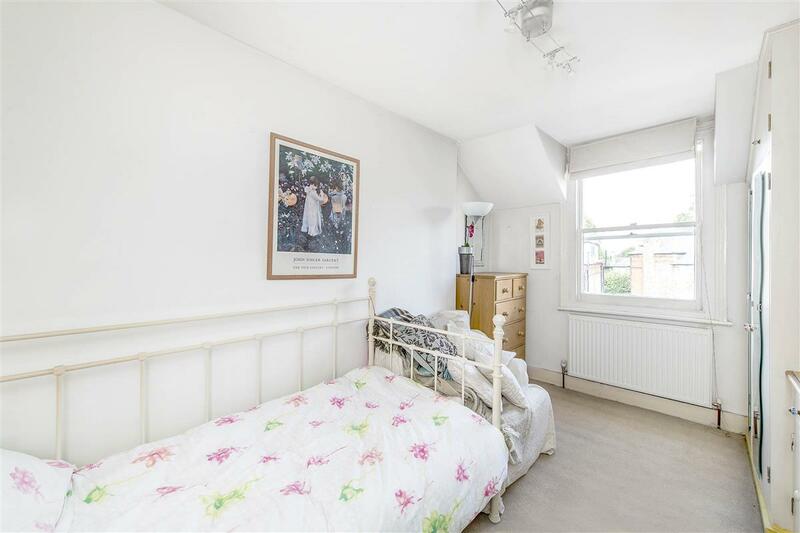 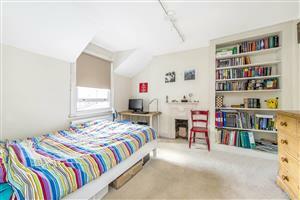 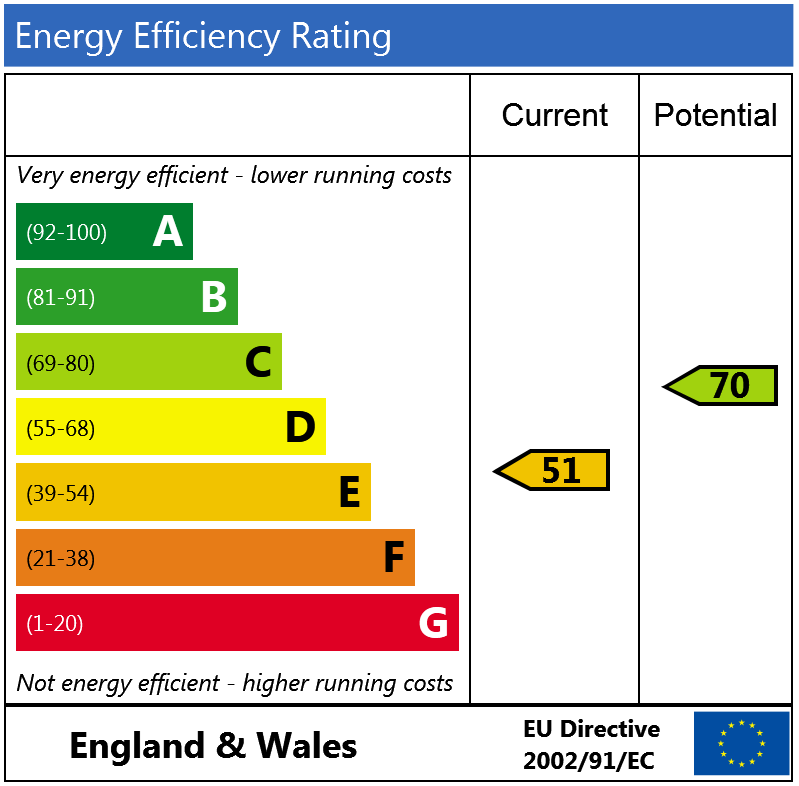 The house also benefits from an attic room which although not technically converted, is currently used as a further bedroom and storage space. With a flexible layout, great proportions and a spacious feel throughout, this house would make a wonderful home. 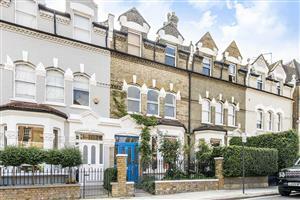 Fulham Park Gardens is located in between the Fulham Road and the New Kings Road close to numerous shops, bars and restaurants. Putney Bridge and Parsons Green underground stations are also close by.